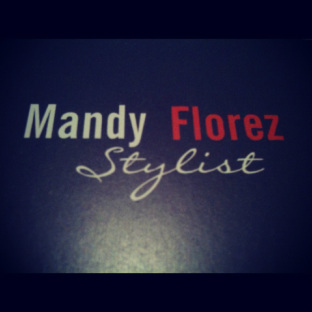 Mandy Florez has been a stylist since 2010 developing her color expertise. Mandy has an education in Eufora International, Unite styling, Kemon and Wella color placement. Mandy has been an educator with Air Feathers and traveled to educating events throughout North America. She is very focused on style and uses a balance of colors and textures as inspiration. Her ability to execute multi-colored color applications to achieve a polished look is a unique way to experience hair color. In 2010, Mandy placed second at the Palomar Institute's Wella color contest. In 2011, Mandy was invited to participate in Air Hair Systems' photo shoot with Christopher Voekler to display feather art and design for Air Feathers branding campaign. Deliver legendary customer service at all times, barista, register/POS savvy, organize opening and closing duties, safe controller, cash handler and key holder. Direct employees to various workstations, ensure team follows policies, assist with the training and development of new employees, coaching, and motivation. Consistent positive team building, manage multiple situations simultaneously to involve colleagues in plans and decisions that affect them. Delegate all tasks to meet store potential and meet company expectations in a timely fashion. Payroll processing, inventory management, till audits and daily deposit preparation. Monitor and evaluate store profit and losses to meet deadlines and sales target goals. Certified Food Safety Manager. Deliver staffing decisions; scheduling, training, performance evaluation, recruiting, and discharging. Assist two designated shareholders daily for court appearances by notarizing, mailing, faxing, copying, collating exhibits for presentation, correspondents, coordination of travel arrangements, run errands in and out of office building from lunch orders to document drop offs. Appointment coordinator, Assist in bill collection records and correspondence, Run conflict checks of all incoming cases for litigation using an in-house data base. Prepare “New Case” agreement contracts, Setup new accounts using in-house billing system, and perform new recruit screenings for HR director. Ten phone line reception relief, screen all incoming phone calls and direct them to appropriate extensions and voice-mail. Greet and welcome arriving clients, offer a beverage and notify the appropriate professionals.